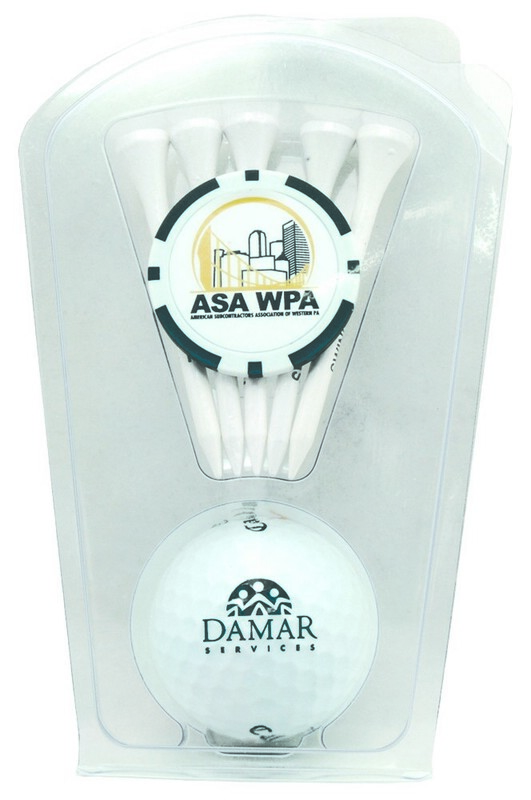 Our 1 Ball, 5 Tee Clam with Poker Chip Ball Marker features custom printing option to Promote your Brand. Add a dash of style to this 1 Ball 5 -Tee clam holder with a Chip Ball Marker! This neatly packed plastic clam contains one Callaway Warbird 2.0 golf ball and five -2 3/4" blank white wood tees with one Poker Chip Ball Marker. The poker chip is available in a range of vibrant colors. You can imprint your logo on the golf ball as well as get a full color digital imprint on both sides of the poker chip ball marker. 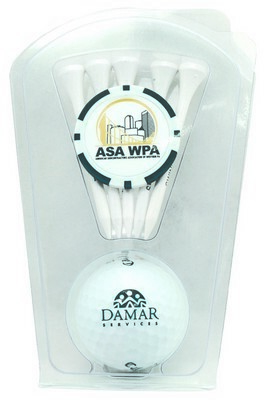 Get the dual advantage by imprinting your logo on the ball and the poker chip and promote your branding in great style!